Cleveland, OH (December 3rd, 2015) – For the eighteenth consecutive year, Howard Hanna Real Estate Services and Coats for Kids are teaming up to bring children and families throughout Northeast Ohio coats during the cold winter. 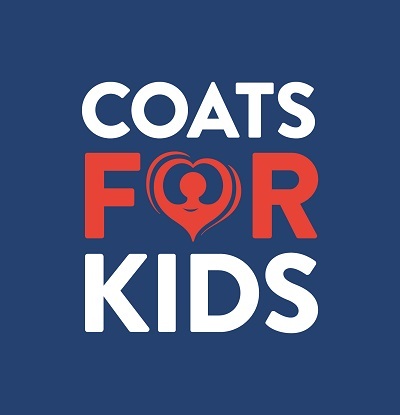 2015 is the 34th anniversary of Coats for Kids, which started in 1981 when local radio station employees realized that many children were unable to attend school because of a lack of proper winter clothing. Since that original campaign, over $3.25 million and more than 550,000 coats have been collected. This year’s goal is to purchase and/or collect at least 25,000 new or like-new coats and to raise at least $125,000. “Howard Hanna is a long-term supporter of the Coats for Kids campaign, and as a result many in our community know they can drop off donated coats at a convenient Howard Hanna office location. This leads to the total number of donated coats collected by Howard Hanna Real Estate locations continuing to increase each year, allowing Coats for Kids to help even more children,” says Debbie Martinko, executive director, Coats for Kids. Howard Hanna collected more than 5,000 coats in 2014 which were distributed to children in 17 different school districts. This year, the company aims to gather even more coats during the official campaign, which continues until December 14th. During that time, coats can be dropped off at Howard Hanna offices throughout Ohio. All coats and funds raised will benefit children of school age in Howard Hanna’s market areas across Northeast Ohio.